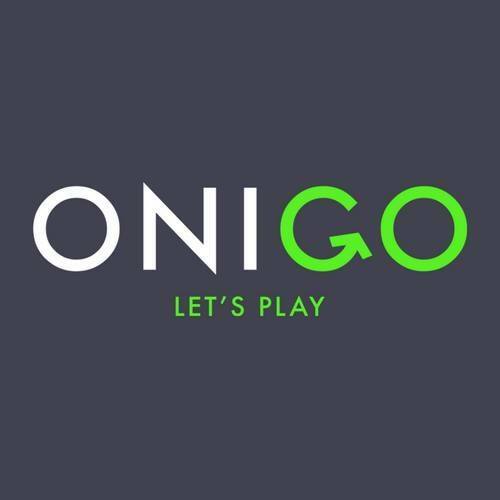 Onigo are the providers of a couple of urban adventures that you can play in either Hyde Park or Battersea Park. I’m not entirely sure how to classify them – their website suggests they’re escape games (onigoescapes.com), and their Google search results refer to them as “outdoor escape rooms”. In reality, they’re more of a puzzle hunt in a park. That’s important because expectations can make a big difference when playing a game. So, what can you expect? Well, no human interaction, no real locks and all puzzles based firmly on your phone. The general structure of the game sees you arriving at a start point, navigating your way round the park, proving you’ve arrived in specific locations by typing a keyword into your phone from a plaque or sign, and then solving a puzzle. You’ve got sixty minutes to complete the challenge, you can take clues (at the cost of ten minutes of time), and you’ll end up broadly within easy reach of where you started. The route we took was a pleasant stroll around Hyde Park, taking in some interesting parts of the park that, in spite of having visited on tens of occasions, I’d never come across before. In truth, though, you’re likely to be a little rushed. We only just made it round in the sixty minutes, although we did stop at each location until all three of us had solved the puzzle, so we may have wasted a little time along the way. That said, it was a hot July evening, and we certainly weren’t pushing ourselves – the total route is around 2.2 miles, which may help you work out how fast you should walk. You’re guided through the game via a webpage that shows you the next stop on your route and gives you the puzzles you need to solve, a place for entering answers and a countdown timer. It worked well and was fairly easy to use although, if you do have any issues with internet connectivity, you’re obviously going to be in trouble. We came across a couple of issues along the way: no confirmation was required if you hit the clue button by accident and, when one of us briefly lost internet connectivity, the web app didn’t make it clear that this had happened and they were left confused. Those were minor irritations and seem like they should be easy enough to fix, so hopefully they will be ironed out as time moves on. The mechanic of the game sees you collecting virtual items for a prison break, with each puzzle unlocking one of the items you’ll need. It gave us a reason to be going round solving puzzles, but it was obviously pretty forced. The puzzles themselves were fun enough, but on only one occasion did they involve any interaction with the park, and even then it was a weak one. In fact, they’re very much the sort of puzzle you could take straight out of a book (indeed, looking online, I found one that Alex Bellos has used in Can You Solve My Problems?). And that, at its crux, is the problem with the experience. You could recreate something very similar by buying a puzzle book and going for a wander round a park pretending that you had to solve a certain number of the puzzles in the book in order to complete your mission. It’s a quarter to half the price of an escape room but, in the latter case, you get a dedicated room, a bunch of physical interactions, a GM and puzzles that can fill a full hour rather than 10-20 minutes.